Have you been waiting for a way to change your life, impact others, and step into your FULL purpose? For the first time ever, Positive Performance is certifying a limited group of passionate Mindset Coaches, ready to take mental training to the world. Do fulfilling work with athletes, performers, or ______; to elevate them to another level? Have greater freedom to work when and where you want to, in ways you are passionate about? Shift your mindset and up-level your life in a whole new way? Take a leap to a greater you, and grow into becoming what you were always meant to be? Become a trained, certified expert in mindset training? Feel like your work is contributing to a greater good? Have creative freedom to create trainings and workshops and books that allow your clients to make real, lasting change? Have clarity about what you offer and how you package and price your services? Deepen your existing work and make a bigger impact with clients you love? Stop saying ‘someday’ and finally invest in YOU? If you've dreamed of becoming a mindset coach, or are already impacting lives with mindset coaching and want to increase your impact and reach, this training is for you. 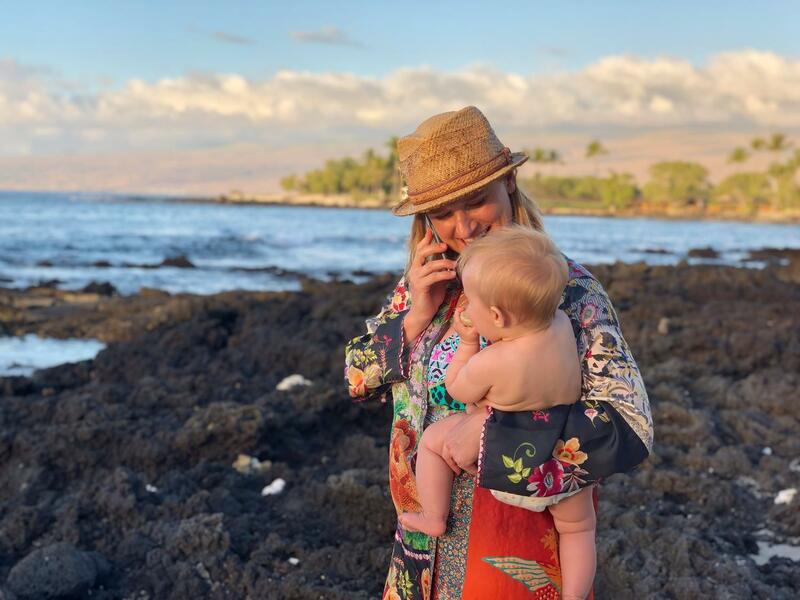 I’m a mommy, wife, entrepreneur, and mindset coach who is passionate about optimizing the mind. 10 years ago, I started a mindset coaching business with no sports psychology degree and no business know-how, and built it into a 6-figure business while working only 30 hours a week. The best part is that not only is my work something I'm passionate about, it's something that I LIVE on a daily basis. As a mindset coach, I know that I have to work on myself FIRST before I can ever evoke change in someone else. Truthfully, it took me a long time to come up with process and methods to enable me to teach this to others. At the time, I wish there had been a way to be certified in these techniques and fast track myself to success. The world is ready for more mindset coaches. And many of them (like you) are sitting on the sidelines not sure how to start. That is why I created The Mindset Coach Certification™. This certification is what I wish I had. Are you ready to become a Certified Mindset Coach? You can't create change in other people without doing the work yourself. As a mindset coach, you have to live what you teach. If you want to make MASSIVE change with clients, you, my friend, have got to do THE WORK on yourself first. That's what this first month is all about. You'll learn all the methods and processes that we use with our clients. We will provide step-by-step instructions on how to assign client work, and how to create your own content and methods. Finally, we will certify you as Performance Visualization Specialist™. Take our methods into the world, create your own techniques, and start working with REAL clients and making real change. You'll be growing with your clients and your business to develop and design your mindset services in a way that aligns with the impact you desire. This month, you'll learn how to package and price your services and create opportunities around you for mindset coaching. You'll take off the training wheels, submit all of your course work for approval, and become a Certified Mindset Coach™. First and foremost, you'll be the student and learn ALL the mindset tools, tips, and hacks to up-level your MINDSET and your LIFE. This will be intense and lead you through a process to let go of self-limiting thoughts, create new positive processes, and develop energetic alignment between your big goals, your actions, and your subconscious brain. The exact blueprint and system I've used to coach over 1,000 athletes in person, and reach over 100,000 athletes online through our trainings. FULL access to all 9 of our online training courses. TWO Certifications when you complete the homework and pass the course. Behind-the-scenes look at how I've become an expert in this field with no prior business experience and no sports psychology degree. A library of business collateral, including: PowerPoints, worksheets, and supplemental training materials (this has cost me more than 10k and taken me over 10 years to develop). The mindset of successfully packaging your services. You knew THIS was going to be included! Group coaching with me to fast-track your progress alongside an amazing peer community. A complete list of recommended resources (Creating this list has taken me years of research and trial-and-error). Potential for inclusion on the Positive Performance site as a recommended resource and certified coach. 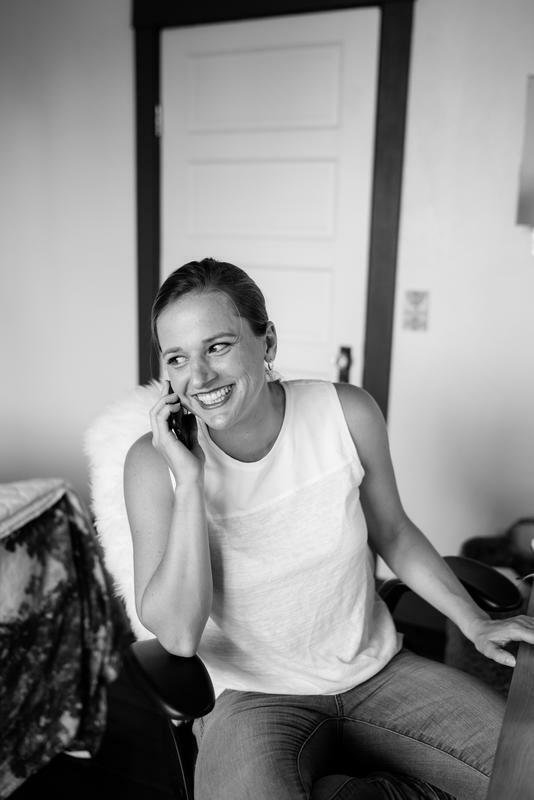 My process for connecting to and helping clients from the first phone call. 4 months of step-by-step coaching. This service is priced at 12k for my 1:1 clients. How to harness your unique knowledge and find your niche. 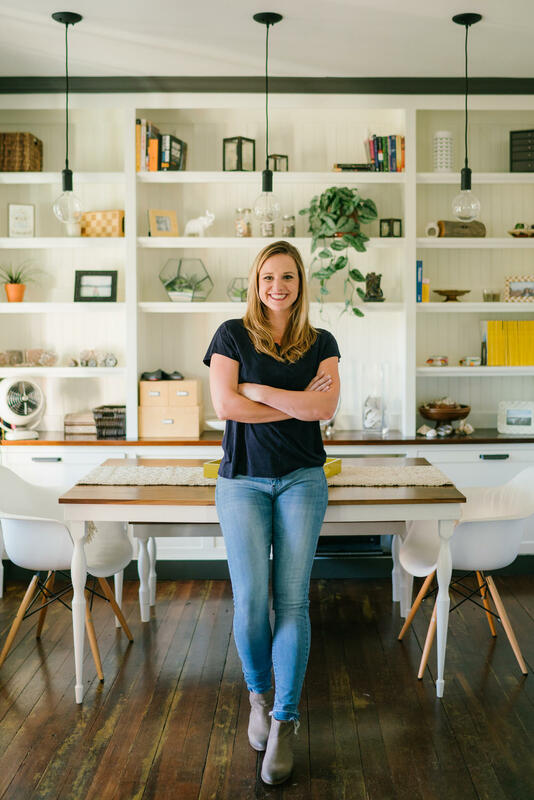 The mindset and pricing shift that took my business to the next level. I wish I’d known about it 10 years ago! A real program that doesn't mess around. This is not a rubber stamp certification. It will take energy and work, you will get feedback, and YOU WILL NOT be certified unless you submit the course work and pass. That said, when you do (and we are here to help you every step of the way) you will be CRAZY PREPARED to impact lives, including your own. Ongoing certification requirements to ensure the highest standards for our company, certification, and industry. There will also be continuing education opportunities. I could go on, but you get the idea. I’m looking for coaches that are READY, that want to do the work, and that want to invest in themselves and their future. As always, I want to work with hungry individuals that have big, crazy dreams for the future and want to fast-track their success. NOW. Serious coaches only. *note The Mindset Coach Certification is a new program, the following students completed the Mental Training Entrepreneur Bootcamp which includes Mindset Coach Training. "It was a little over a year ago that I took a leap of faith, followed my heart and passion, and signed up for MTE Bootcamp. About a month ago, I got my first paying client and have had a couple of great opportunities working with sports organizations in my area. It is a great feeling. I am sharing this with you because I am guessing there are a lot of you who are on the fence and are wondering if it is the right time for you to pursue something like this. I was on the fence too. So much so that I must have made three or four videos to submit and never did because I wasn’t sure how I was going to pull it off if I was lucky enough to be accepted into the program. It wasn’t until I saw one final post from Lindsey that said she had one spot left and it was the day before the group got started. Even then, I waited a few hours, emailed her to see if the spot was still open and the rest is history. I felt like it was meant to be and I am so grateful. Realistically it probably was not the right time, but I couldn’t stop thinking about it and felt like I owed it to myself to pursue my dream and passion. It hasn’t been easy and I have had a lot to juggle but it has been so worth it. The knowledge and the support that Lindsey gives you sets you up for success. My point in all of this is that if this is something you have dreamed about and can’t stop thinking about, go for it! There is never going to be a good time but you will find a way!" 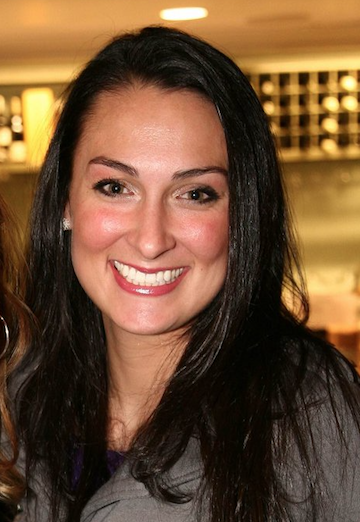 Lindsey has a wealth of resources she shared with us in the program. It gave me a framework to work from, but she also encouraged me to bring my own unique experiences to my business, too. She taught us practical, usable mindset training content, as well as valuable business strategies. If you have a desire to help others develop a winning mindset, want accountability, and a group of like-minded people to share the journey, then MTE will be a great fit! I highly recommend it. It's worth investing in! "This program helped me to believe in myself and gave me the tools I needed to get started in mindset coaching. I became more aware of myself and my goals/dreams and I changed my mindset to one of constant barriers to feelings of hope in that I can actually do something like this." 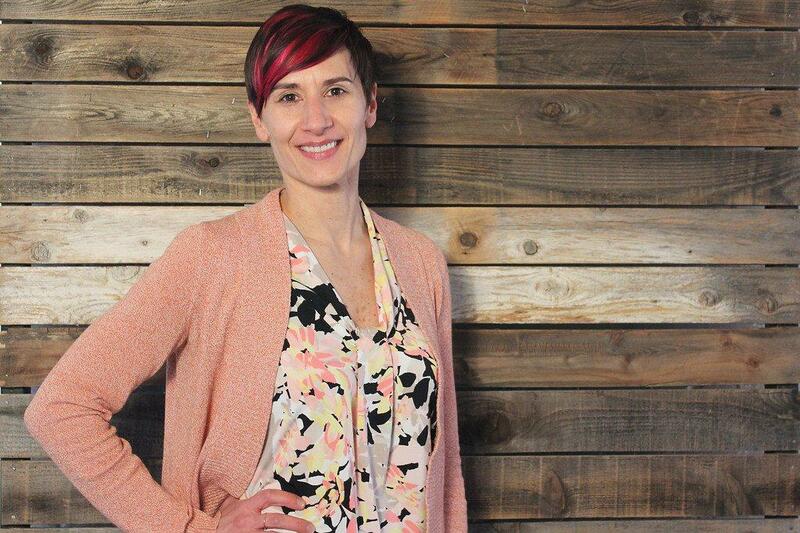 "This program gave me the tools and the information that I needed in order to get started as a mindset coach. It challenged me to take risks that I may not have taken if did not have the support of Lindsey and the others in my group. I realized that having my own business could be a reality and I gained confidence in my ability to reach out to others, ask for help and advice and to go after what I want. In addition, I learned that i know a whole lot more about mindfulness and mental training than I ever gave myself credit for." "It was very valuable. Through the workbooks and phone sessions, I learned a ton. It was also nice to do it with a small group of people who all came from different backgrounds but all had the same goal. It added a lot to the group." Will Help You Grow from the Ground Up! 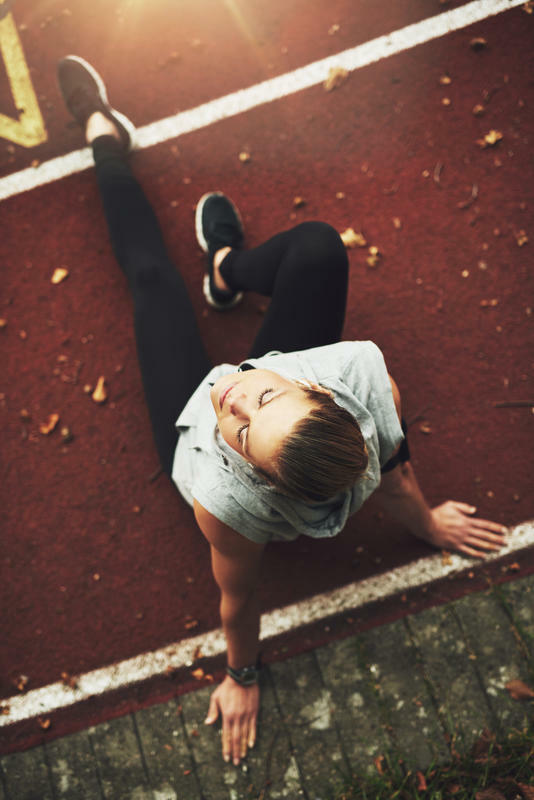 Lindsey's Mental Training Entrepreneur program is a great next step for anyone who understands the basics (and power) of the subconscious brain and the mind-body connection as it relates sport. 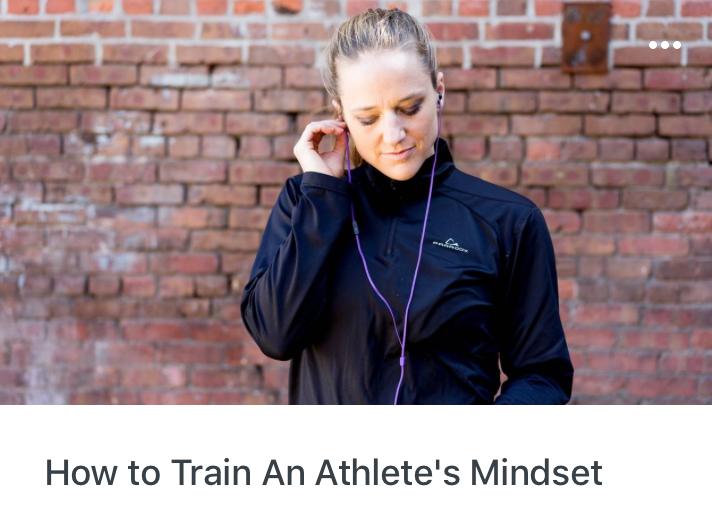 Lindsey has distilled her knowledge of the mind into easy to use tools and techniques that help you educate and train your athletes for optimal performance. 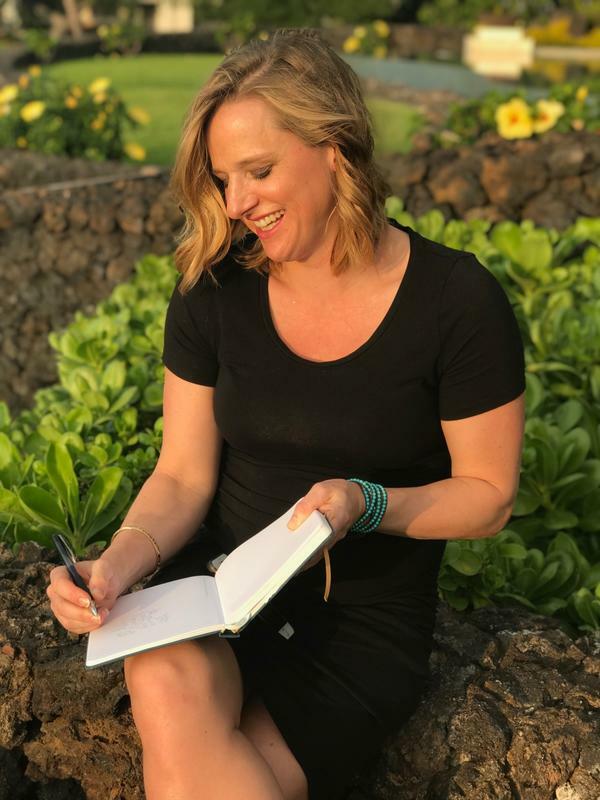 The MTE program then builds on her vast library of content to help coaches define, build and grow their business from the ground up." The Mindset Coach CertificationTM is a select group of mindset coaches that are hand chosen based on an application process. This is a very limited group. The application process is designed to assess how hungry you are to succeed and how committed you are to this endeavor. We do this to ensure that our graduates will be successful and that our cohort will be a strong group that's ready to bring mindset coaching to the world! Lisa Johnson from Limitless Mental Performance talks about how MTE helped her increase her prices 7x. Kadee Gray from Above the Game talks about how the support system in MTE Bootcamp helped her raise her Mental Training game. Skyler Muff from Train My Mental Game talks about her journey from college athlete to becoming a mental training coach. In addition to 2 Certifications, you'll also receive bonuses to help you up-level your life and quickly create massive change with your clients. A reference guide for exactly WHERE all of my techniques are located inside of the courses. A prescription of common challenges and solutions for your clients. A resource list of what you need to do BEFORE you ever work with a client. Video breakdowns of my ACTUAL work with a client. This includes me teaching things like the BRAVR. Worksheets on how to actually create change through a 3-session outline (examples included). Understand how your stories, experiences, and even failures make you UNIQUELY qualified to help others. Get a blueprint that you can customize based on your style and your clients needs. Develop a complete (and organized) go-to toolbox for any athlete. Gain go-to guided visualization scripts to use to make massive change in your clients. Knock it out of the park with your business! 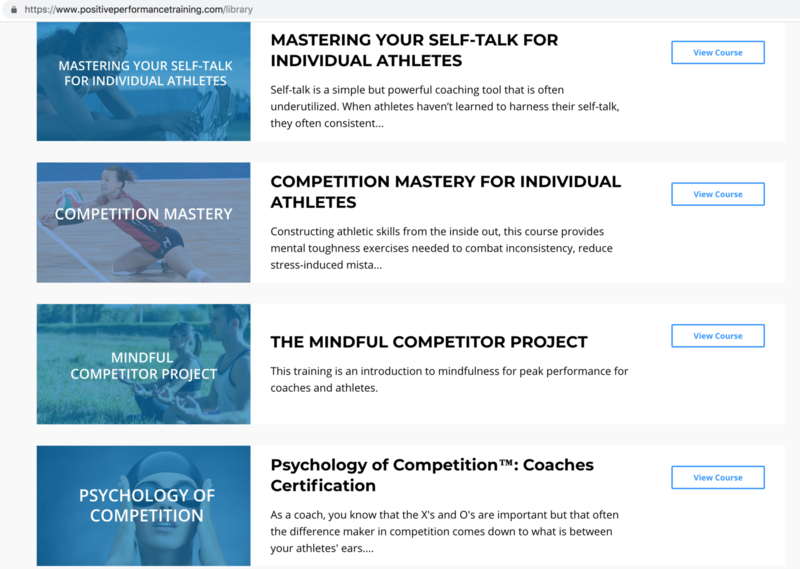 With The Mindset Coach CertificationTM program, you'll get instant access to 9 courses designed to give you all the mental training tools and knowledge you will need in order to effectively work with an athlete, team, or organization... and make a massive impact. With The Mindset Coach AcademyTM, you'll be introduced to a special community of other mindset coaches. You'll support each other, learn from each other, and hold each other accountable. You are here for a reason. You know how passionate you are about mindset work. And (let's be honest) you probably are ALREADY coaching people on their mindset. You also don't have a system, don't know how to create a system, and don't know how to make your hobby more polished. Finally, you don't know how to package your knowledge in a way that will help you impact lives and achieve your goals. I am passionate about helping driven mindset coaches get the training they need in order to to impact the world. If that's you, I'd love to help you. The best part? YOUR life will CHANGE too. Are ready, willing, and excited to work on their mindset FIRST as they grow into becoming the mindset coach they wish they had. Believe this is a lifelong process of improving the mind. Believe in and are willing and excited to contribute to a COMMUNITY of mindset coaches who are all growing together. 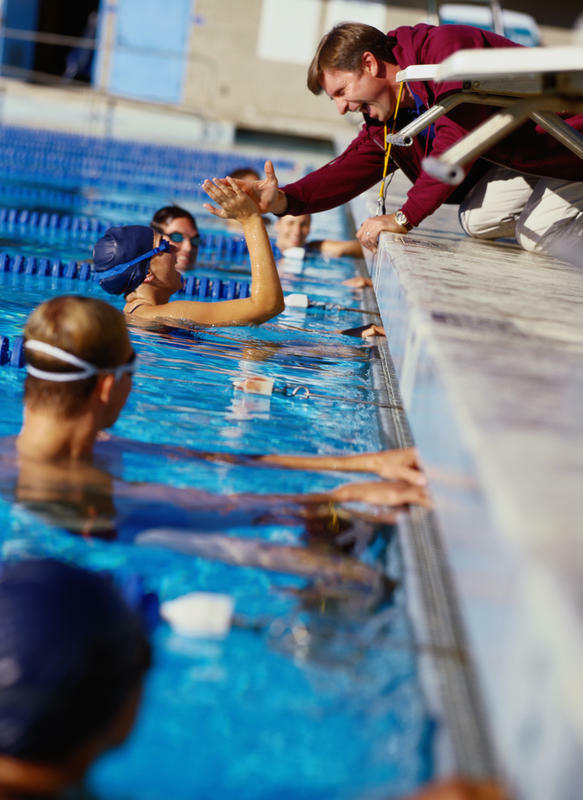 There is no government body or other neutral (nonprofit) authority that accredits the coaching industry. There are only private institutions that claim authority over regulating the industry according to their methodologies. We are certifying you in Positive Performance methodologies and therefore it doesn't make sense to apply to their accreditation. How long do we have access to the online trainings? You'll have access to all of the online resources for the lifetime of the course, including any updates we make. Does this count for CEUs? We have had coaches submit this and get approved for credit. We can't guarantee it, of course, but there is a course syllabus you can submit. What exactly do I get to call myself after I get certified? You will be a Positive Performance Certified Mindset Coach™(CMC) and Mindset Coach Academy Performance Visualization Specialist™ (PVS). What is the investment in the program? For the 4 month training plus all the online courses, bonuses and coaching it's $3500 (payment plans available). Will I be working with or for Positive Performance? The short answer is no. The goal of the certification is for you to be trained in our methodologies so you can take these tools out into the world. Once you pass the course, you will listed on our site as a certified coach. The timing isn't ideal for me, will this be offered in the future? We think that it will be, though we can never say with 100% certainty. That said, this is the beta group, which means it is greatly discounted and is less than it will be in the future. (For example, our MTE bootcamp went from $4500 for the first cohort to $9500.) The reason for this is that this first group will help us with feedback and help us iterate and improve. What is included and expected of me for ongoing certification? In order to ensure the highest level of standards, every year (after the initial 2 year certification that is included in the training) you will be expected to "keep up" your certification. Every January, you'll submit evidence of your mindset work with clients. You will submit a case study (i.e. a recorded session with a client, a video of you teaching a tool, attending a retreat.) There will be a number of different ways to submit your continuing certification. There will also be a yearly fee to cover our costs. The first fee (for the 2019 cohort) will be due in January of 2021 and will be $200. Our goal is to maintain a high level of professionalism, both within our organization and with the mindset coaches we certify. We will not be rubber stamping our coaches as being trained in our methodologies. What if I don't 'pass' the certification? If you do the work, you will pass. All the quizzes are open book and we are here to help you every step of the way to learn the material. If you don't think you are up for doing the work, you shouldn't apply. No. This is a limited group, hand picked according to your application and phone interview with Lindsey. What are the details of the training? In a nutshell, the Month 1 is all about YOU and learning mindset coaching as a student. This will allow you to truly understand these tools on a deep level. Month 2 is about you practicing these tools. Month 3 is practical application with live clients as you focus on your niche. Month 4 is about how to price and package your services and get your coaching out into the world. The training will be done via video conferencing with Lindsey. We'll also have office hours for Q&A and multiple micro trainings as homework (these will be short videos, audios, and PDFs). 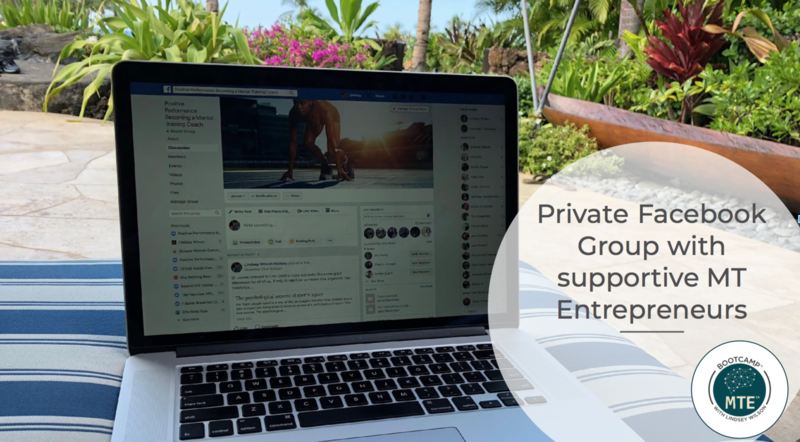 You'll be interacting with and supporting the other members of the group in our private facebook group. We'll be sharing worksheets, PDFs, scripts, and other supplemental materials consistently through the program in order to help you learn and take action for yourself and for your clients. Plus, you'll have full access to all of our online courses so you can learn all the tools and techniques and refer back to them in the future. I'm super busy, what is the time commitment? First of all, everyone is busy. So if mindset coaching isn't a priority, you won't MAKE time for it. If it is, then you will. We will have a 1 hour call 3-4x a month that you will be expected to attend or watch a recording. The weekly homework is designed to be in small bursts. A typically week of homework might be: a 10 minute audio training, review one module of an online course for 20 minutes, and one 10 minute video training. You can complete the online courses at your own pace. Learning, teaching, and supporting in the private group is on your own time. A big part of the training is growing and learning together. We can't force you to participate, but will be looking for coaches who are passionate about community during the interview and application process. The first month will be focused on your own mindset work. which will be done on your time schedule, but should be a daily thing. From there, you'll be practicing with others and the time commitment really depends on how eager you are to practice. You'll have to submit your final work for certification, but you'll have some time after the end of the program to compile it all. How is this different from the Mental Training Entrepreneur Bootcamp? The focus of the certification is on mindset coaching, not so much on the business component. 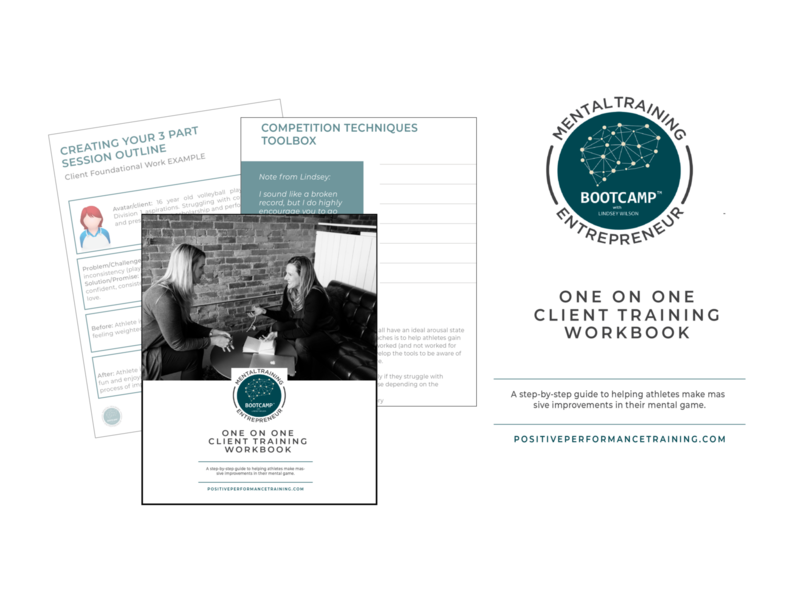 You'll be learning mindset tools by first using the tools yourself and then learning to work with clients. However, we do want you to have some basic understanding of how to take these tools into the world so we do teach about pricing, packaging, and business development in month 4. I don't want to charge people for mindset coaching. Will this certification still be useful? Of course! This certification is continued education. Some of our mindset coaches will be getting certified to grow themselves as a coach and use what they learn with their team in order to strengthen their impact. We will talk more about team implementation in month 4. Truthfully, many coaches that think they don't want to charge for their services, change their mind when they realize it's possible to work with a few clients here and there, impact more lives, and draw a side income (while also working with their team and athletes without charging them.) Ultimately, what you do with this certification is totally up to you; you will benefit from it either way. I'm already a mindset coach/life coach/therapist, will this training help me? This training is designed to give you all the tools necessary to make a massive impact with your clients. If you already feel that you have a full toolbox, then this might not be for you. But you are here for a reason, and my guess is that you want more training, more credibility, and further tools to impact your clients. This program will give you that. ...and finally become the mindset coach you KNOW you should be? I've helped these coaches step into their dream with my step-by-step program. If you have the will, I can help you too. Imagine for a moment that 2019 is the year you finally stop saying 'someday', and start saying YES to your calling as a mindset coach. Change Your Life. Impact Others. Step into your FULL purpose. Today. © 2019 Positive Performance, Inc. The First Life You Change is Your Own. Are you ready? We'll be in touch as soon as the next Mindset Coach Academy Launches (mid 2019). Stay Tuned.